A Holistic Approach to Child Abuse Investigations. A forensic interview is a non-leading, non-confrontational, fact finding interview conducted to allow a child to provide a statement. Children and teens come to CJAC for a forensic interview after being referred by law enforcement or CPS for suspected child abuse. Forensic Interviews are conducted on-site at CJAC, in our child-friendly interview room. Interviewers are specially trained to gather facts without re-traumatizing children. Community-based advocates provide support for non-offending caregivers during the interview. This support includes resource referrals and on-going support for the family. Community based advocacy is confidential and free to the family. Community based advocacy at CJAC is provided through our partnership with the Emergency Support Shelter. An attorney from The Cowlitz County Prosecutor's office observes each forensic interview behind a two way mirror. Our partnership with the prosecutor's office guarantees that all cases seen at CJAC are evaluated for possible criminal prosecution. This process includes the review of police reports, medical reports and documentation, discussions with the investigating officers, CPS workers and other team members as applicable, in addition to viewing the forensic interview. ﻿A law enforcement officer is assigned to investigate each case of child abuse. This investigator is responsible for making the referral to the Multidisciplinary Team, coordinating with the CJAC staff to schedule a forensic interview, and to observe the interview while it is taking place. The investigator then takes the time to meet with the family to discuss the future of the case. Child Protective Service (CPS) Investigators assess the safety of children in their home environment, provide resource referrals for families, family treatment planning, and monitoring as necessary. Investigators observe the interview and make appropriate follow up arrangements with the family. 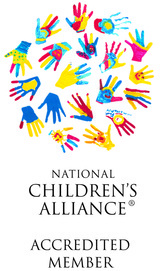 CJAC partners with Counseling Services and Associates to provide counseling and mental health services for the children we serve. The providers at Counseling Services & Associates are specially trained in trauma practice. We provide referrals for individual counseling to all children and their families who come to CJAC for a forensic interview. We also have in house group therapy for non-offending caregivers of children who have experienced trauma related to a crime. For more information, call 360-353-3933. CJAC partners with Legacy Salmon Creek, where families are referred for specialized medical treatment and forensic medical exams as needed. Be sure to "Like" us on Facebook to get updates about our prevention events and fundraisers!